(Press Release July 28, 2018 ) The Government of Dominica has afforded the late Dermot Eustace McNair Southwell, former parliamentarian, an Official Funeral to be held on Monday, July 30, 2018. The Government of Dominica has declared Monday, July 30, 2018, an official day of mourning as a mark of respect for the late Dermot Southwell. The Dominica Flag should be flown at half staff on all public buildings in the State on that day – Monday, July 30, 2018. The late Dermot E M Southwell was born in Montserrat on December 24, 1937. He attended the Dominica Grammar School and then went on to pursue studies in Airport Management and Administration in London and Personnel Administration and Industrial Relations in Trinidad. In 1990, Mr. Southwell was appointed as a Government Senator in Parliament by then Prime Minister the late Dame Mary Eugenia Charles. On June 01, 1990 he was appointed Minister without Portfolio in the Office of the Prime Minister, a position he held till June, 1995. He was deeply involved in community development and served on various boards and committees. At the time of his death he was serving as Chairman of the Integrity in Public Office Commission. 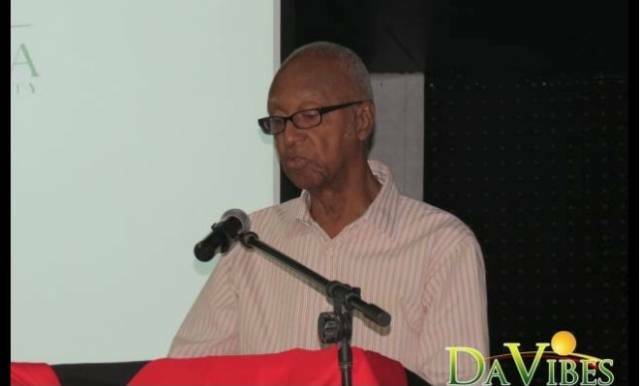 Mr. Southwell served for a number of years as Chairman of the Carnival Development Committee. He was also a former Chairman of the Dominica Air and Seaports Authority and Managing Director of J. Astaphans & Company. His Excellency, Charles Savarin President of the Commonwealth of Dominica and Mrs. Savarin, Prime Minister – Honourable Roosevelt Skerrit, Members of Cabinet, Members of the House of Assembly, Members of the Diplomatic Corps and other Government Officials are expected to attend the Official Funeral Service for Mr. Dermot Eustace McNair Southwell. The Official Funeral Service of the Late Dermot Eustace McNair Southwell will take place on Monday, July 30, 2018 at 10:00 a.m. at the Bethesda Methodist Church followed by interment at the Roseau Public Cemetery. All Official Mourners are requested to be in their seats no later than 9:45 a.m. on Monday, July 30, 2018.